Evo® supports the monitor with true constant force, ensuring smooth movement across the arm’s entire range of motion. Fine tune your Evo® monitor arm with the available tension adjustment at each joint. 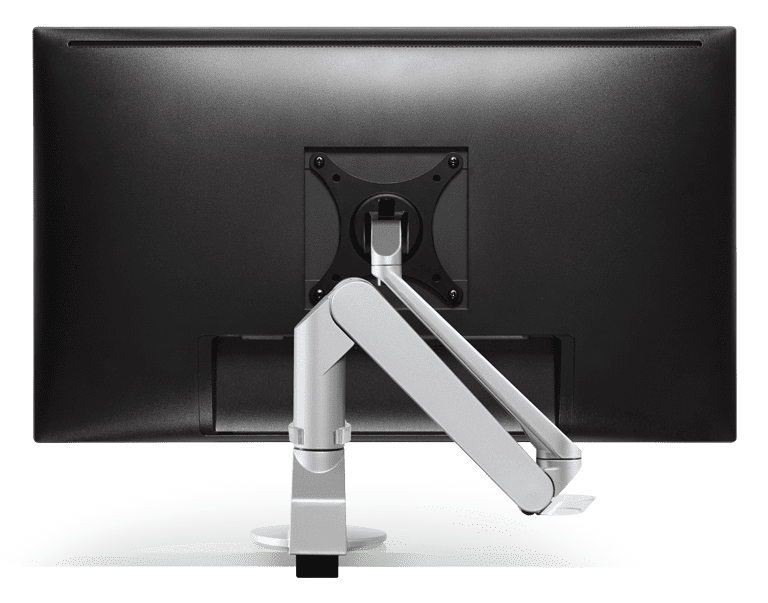 Evo® monitor arms feature a quick-install VESA bracket and the Evo® single arm features top down mount installation for easy setup. 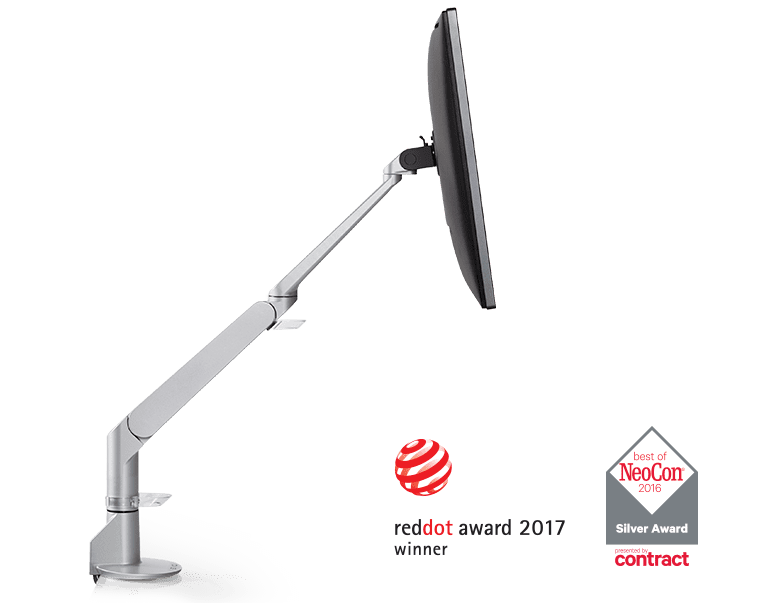 The third-generation Evo® has received a 2017 Red Dot Product Design Award and a Best of NeoCon Silver 2016 for its sleek form and superior function. 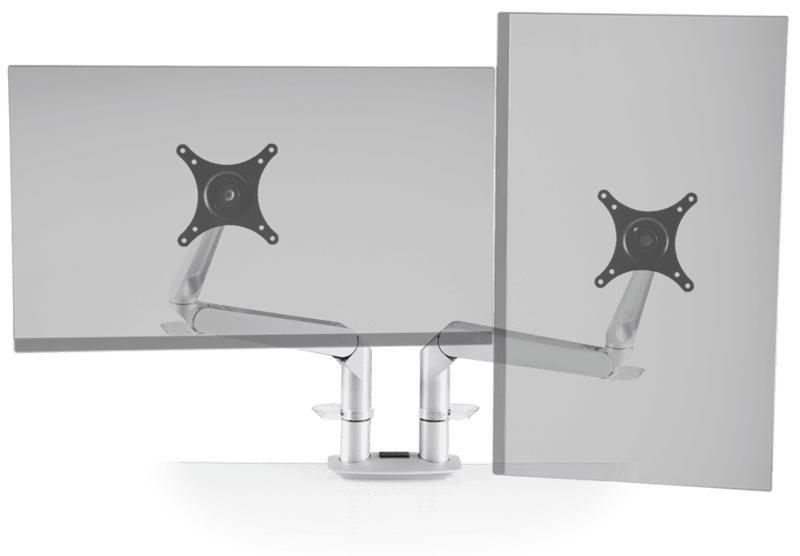 Functionality and sleek design come together in the award-winning Evo articulating monitor arm. 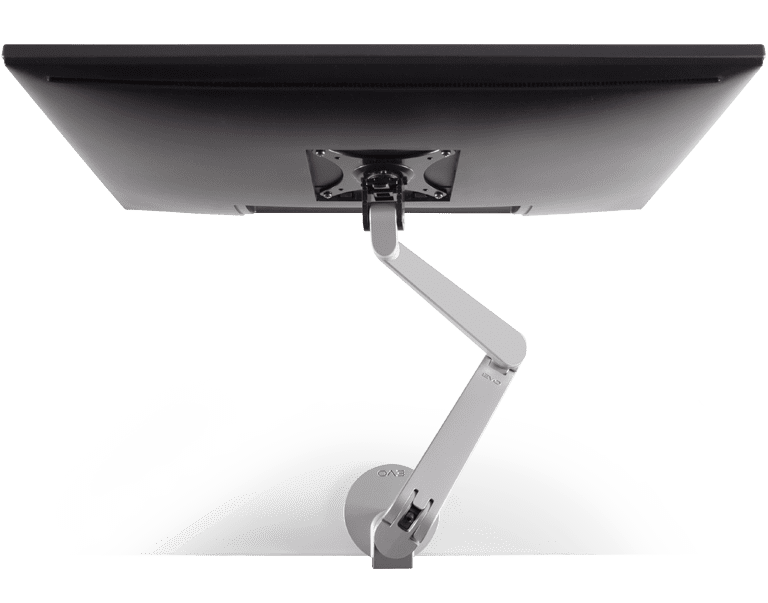 Evo floats monitors above the work surface, enabling intuitive adjustment of monitor height and position. The height-adjustable mount extends up to 19.6" and collapses to just 3.6". Easily rotate the flat panel monitor for portrait or landscape viewing. EVO’s stylish design complements any office environment.